Sepultura embark on an ambitious journey to mix metal with tribal sounds, and the idea proves to be much more interesting than the execution. Roots enjoys a couple of good moments, but is otherwise a self-indulgent effort, with the music lost in an impenetrable and overgrown morass. Album opener Roots Bloody Roots holds so much promise. A hard driving, overpowered four-wheel drive smashing through tiny trails, Roots Bloody Roots does fulfil the promise of metal going tribal, with an enormous visceral punch. It's only downside is the shortish length, the track checking out after just 3:30. 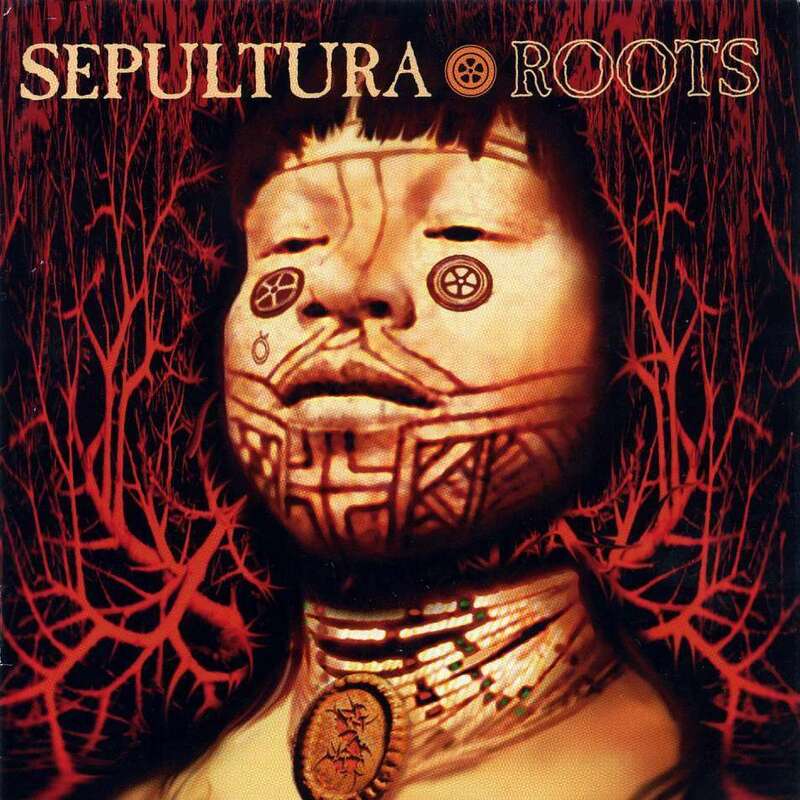 Had Sepultura been able to build the album along the same lines of Roots Bloody Roots, a spectacular classic could have emerged. Unfortunately, only a couple of other tracks come even close. Ratamahatta bolts together energetic jungle drums with a dangerous Andreas Kisser riff, Igor Cavalera building a monstrous beat around the enormous fire. And Endangered Species takes an elemental structure and puts enough metal around it to create a shine. Max Cavalera's vocals are filled with large doses of hate and anger, and the down-tuned guitars are suitably primitive. But Roots too often defaults to the uninspired repetition of simplistic chords and beats, emanating from the unexplored darkness and staying there. There are many interesting sounds for an Amazonian documentary soundtrack, but as metal music, the album fails to generate enthusiasm. Roots ends with an untitled 16th track, more than 13 minutes of directionless percussion from deep in the wilderness. Sepultura take metal into the jungle, but forget to come back out. Produced by Ross Robinson. Mixed by Andy Wallace. Engineered by Chuck Johnson.